Stuart McLaughlin has today announced his departure from Business to Arts after more than seven years in the role of Chief Executive. 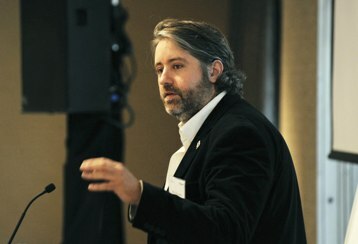 He is leaving to join Google to lead their employee social responsibility programme, GooglersGive, for the EMEA region. Commenting on his time with Business to Arts, Stuart said “It has been a privilege to work with this organisation through seven eventful years. Our small team has designed, built and delivered projects and solutions that have increased collaboration between our stakeholders. The results of the New Stream professional development programme, bringing over €9m in new revenue to the cultural sector, together with the embracing of Fund it by both the creative community and their supporters (who have fully funded over 650 projects), have been particularly gratifying projects to be involved in. Above all I would like to thank Rowena, Andrew and Claire for all of their support both professionally and personally, and the Board of Business to Arts for their ongoing commitment to the organisation in what have been challenging economic times. I will greatly miss the unique fun of Business to Arts, the pleasure of being able to collaborate so closely with the Irish arts community, and the enjoyment of working with so many senior stakeholders in the business and public sectors. The Board of Business to Arts have begun to design the process to identify a new Chief Executive, and more information on this will follow. Stuart McLaughlin will leave Business to Arts in mid-August.